My family really loves Halloween. Every year we get together and have a party where we reveal our Halloween costumes. We take it very seriously and make sure to keep our costumes a secret until Halloween. This will be the eighth Halloween Erik and I have spent together. I thought it would be fun to share our costumes throughout the years. This is probably my favorite costume we have done. It was so original at the time. Mad props to Erik because he thought of it! Erik is a huge batman fan so it was only fitting. I always laugh at Erik's "six pack." I LOVE the Little Mermaid and had such high hopes for this costume. We ended up spraying my hair with red hair spray minutes before the party. I wish it would have turned out differently but don't worry I still secretly wear this dress around the house. We thought it would be fun to dress up as an old-timey Villain and Damsel in Distress. This was such a fun costume! 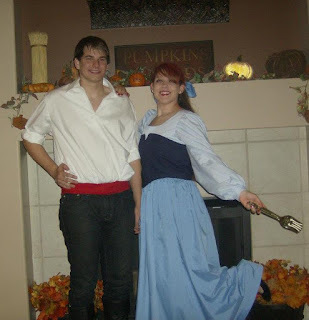 We got all of Erik's costume from the DI. And what girl doesn't love wearing sparkly shoes? 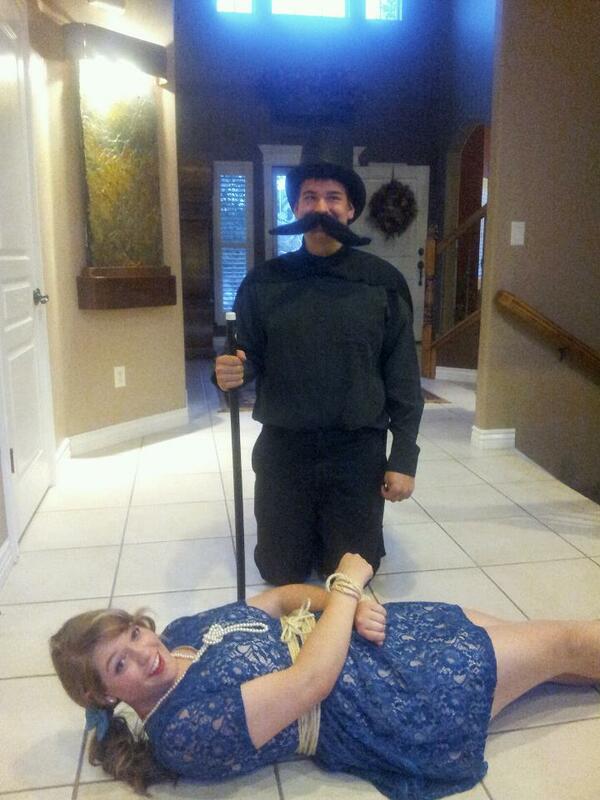 This is my second favorite costume of ours. 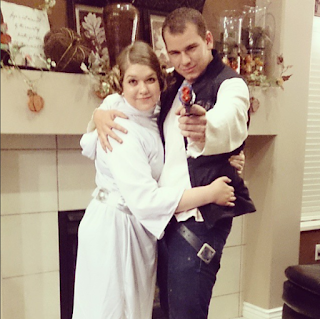 I got the Leia costume for 40% off because it was missing the wig and just did my own hair. Erik's costume is almost completely from the DI again. His "space gun?" $3 from Target! 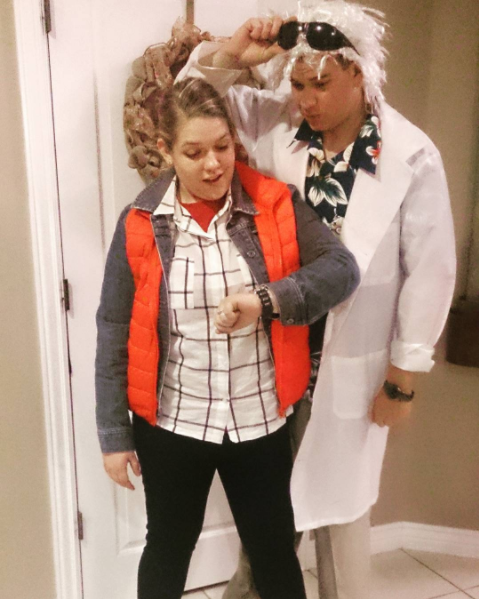 Erik and I decided to finally put this costume to use since it was the 30th anniversary of Back to the Future. The pieces for my costume were so easy because plaid shirts, jean jackets and puffer vests are all back in style! 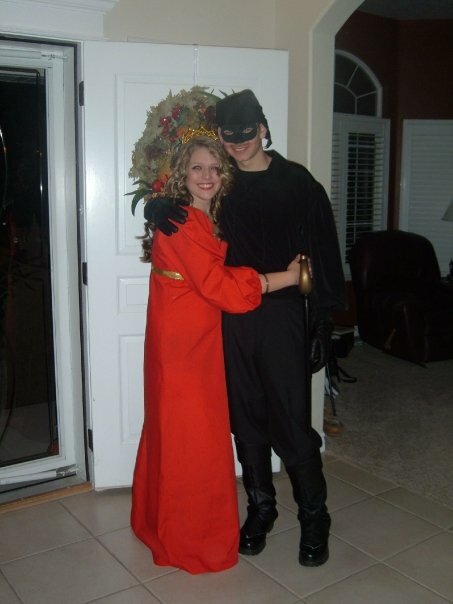 And once again Erik's costume is from the DI. We are already for Monday. Erik is really excited because he has wanted to do this costume but didn't think it was relevant. Awesome! Thanks for always making the costume reveal so exciting!